To innovate and build robotic arms and grippers quickly, Kuka reaches for a new “smart factory” technology, MakerBot 3D printers. 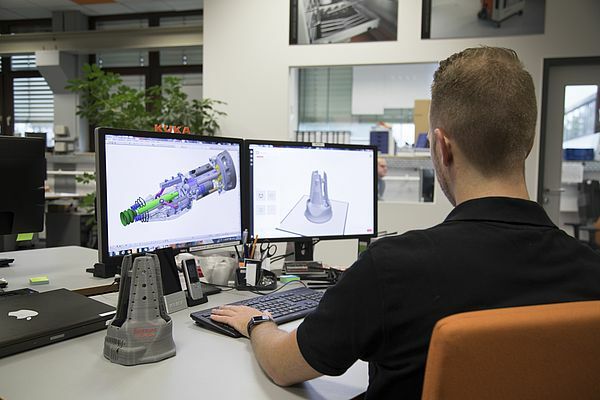 At the Kuka Development and Technology Center in Augsburg, the company’s Germany-based global headquarter, two teams work extensively with 3D printers; the Prototyping Team that develops new robots, and the Applications Engineering Team that develops new custom applications. 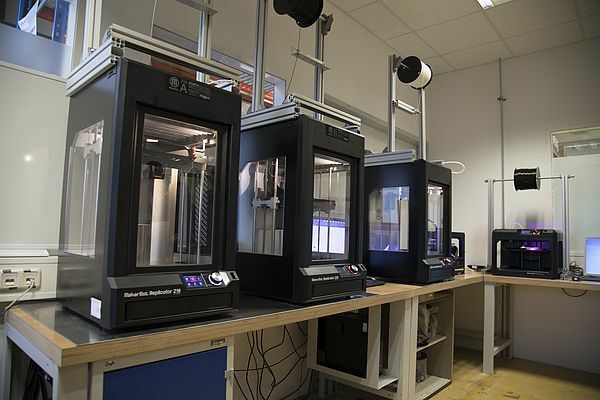 Both use 3D printers early and often in their design process, so much so that their MakerBot Z18 is operated for over 7,000 hours in a single year. The newest robot in Kuka’s lineup, the KR 3 Agilus, a smaller scale robot ideal for small automation cells, saw one of the company’s fastest development cycles yet partly thanks to KUKAs extensive use of 3D printing. Building a six-axis robot capable of performing in a wide variety of applications takes serious planning, testing, and precision. At Kuka, that job falls to Soeren Papsdorf, Head of Manufacturing Engineering and his team. Having access to an in-house 3D printer with a large build volume allows designers and engineers to print and test designs much earlier in the process than if they outsourced parts, and for a significantly lower cost than if they produced metal parts in-house. Once the final design begins to take shape, the team prints scale prototypes to test more complicated design features like cable routing— again a step that would otherwise take weeks without unrestricted access to 3D printers. With the rich physical information available from the early printed prototypes, the designers can make faster and better decisions—decisions that ultimately save weeks in their total development time. As the KR 3 Agilus design approached its final form, Soeren’s team printed custom tooling and manufacturing setups for assembly and testing. He explained that his team can’t just go to the hardware store and buy robot building tools; they have to create everything custom. These manufacturing jigs and fixtures are 3D printed and iterated on in-house, streamlining yet another stage in the process that formerly required additional back and forth with outsourced suppliers. As a result, the team reports saving several weeks during the development of the KR 3 Agilus, based solely on their successful use of 3D printers. Part of this can be attributed to the reliability of their MakerBot Z18s, but a large part is owed to the level of confidence the team brings to operating them efficiently. The printers run at a 92% success rate, and at over 7,000 hours a year, they’re essentially printing non-stop. Led by Otmar Honsberg, the Applications Engineering Team takes robots from Kuka’s growing portfolio produced by Soeren’s team and builds custom applications for tasks in different industries. If you need a robot to assemble delicate consumer electronics, Otmar’s team explores then prototypes the best processes and hardware to accomplish it. 3D printers, his team sprinted from early concept exploration to testing 3D printed prototypes, before eventually deciding to use 3D printed parts in the final hand, cutting down on hardware weight and development time. 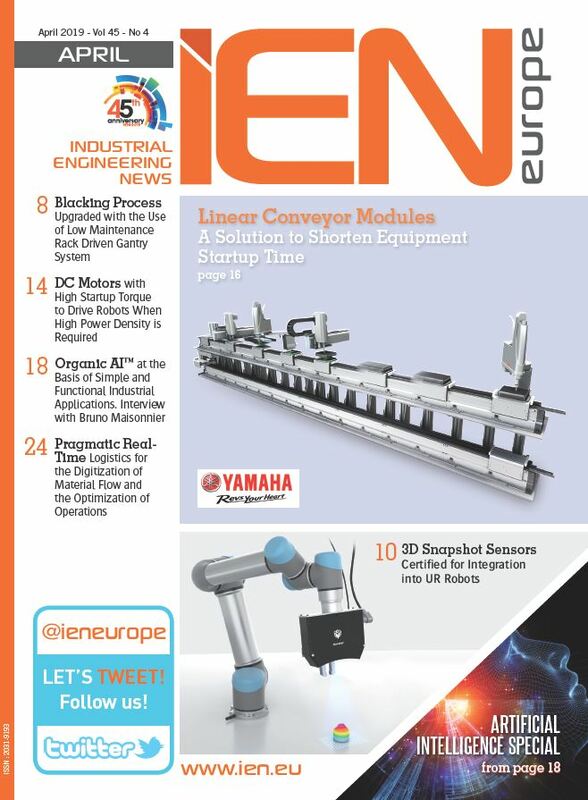 The result, when paired with a camera and software, is Kuka’s automated ItemPiQ end-effector. After a hand is built, Otmar’s team implements the system at the customer’s facility. Access to reliable 3D printers gives them the ability to further customize and improve solutions quickly and iteratively while on-site. Considering the full cycle from start to finish, Otmar reports that his designers and engineers have an incredible amount of freedom using 3D printers, and conventional processes are just too slow in comparison. He says that in some cases 3D printing saves 2-4 weeks throughout the entire process and that this level of fine-tuning, service, and customization would not be possible without 3D printing. By building robots that can safely interact with humans, Kuka enables an entirely new model of manufacturing that combines the power and precision of robots with the reactivity and flexibility of a human problem solver. The future of manufacturing depends on the efficiency and reliability of these remarkable new systems—and when it comes to building the future of manufacturing, Kuka uses MakerBot 3D printers.